It’s always awesome to see a breathtaking, unique, and thoroughly innovative puzzle game pop up on the App Store, and this week we’re particularly impressed with Triada Studio Games’ light-and-shadow-play perspective game, Shadowmatic. For a mere $3, Shadowmatic takes you through a non-linear progression of increasingly difficult perspective puzzles—think shadow puppets meets Monument Valley. 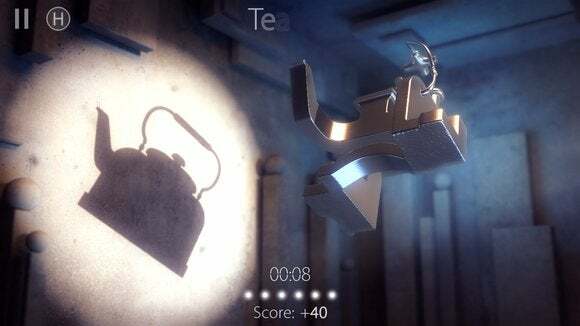 Shadowmatic is relatively simple to play, so you’ll get the hang of it quickly: In each level, you’re given one to three objects, which are suspended in the air and illuminated by a light source. This illumination projects a shadow onto the wall behind the objects, and you’re asked to flip, rotate, twist, and move the objects around until you can create a recognizable shadow, which could be anything from animals and fish to tools and athletes in different poses. Each level is timed, and although you accumulate points with each completed level, this isn’t really a competitive game. As you complete each level, you unlock the next—but the level tree branches out several times so, if you get stuck on a level, you can simply work on a different branch and come back to it later. 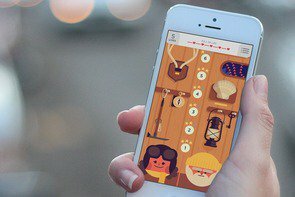 A different perspective: If you enjoy perspective puzzles, such as Monument Valley and its expansion Monument Valley: Forgotten Shores, Shadowmatic is right up your alley. The game even has similar game mechanics (twisting and turning objects in order to find a different perspective), but movement is less restrained—you don’t have to use switches or turnstiles, instead you can simply swipe the object around to look at it from any angle at all. While this initially makes the game seem a lot harder (after all, how are you to find the perfect shadows when your options are practically endless? 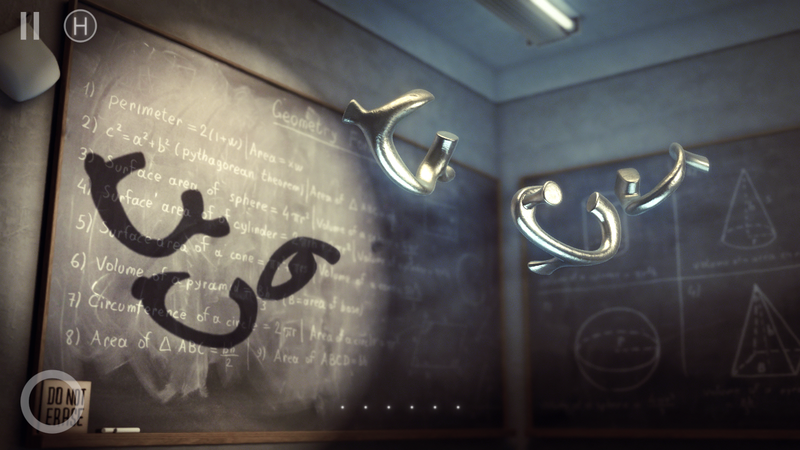 ), Shadowmatic does a good job of giving you clues and keeping you on track. Twist and turn abstract objects to make a recognizable shape. Hint: It will go along with the theme of the room you’re in. Each level is themed, and the theme is reflected in the room’s surroundings—the animal levels, for example, take place in what looks like a jungle, while baby-themed levels take place in a nursery. If that’s not enough of a hint for you, there’s also a hint meter at the bottom of each screen: six dots that light up progressively as you get closer to the final product. Finally, you can also purchase hints for hint points (gained with each level you complete). Hints start out costing one point and go up to eight hint points, at which point the hint will reveal the shadow image (what you’re aiming to find) of the object. 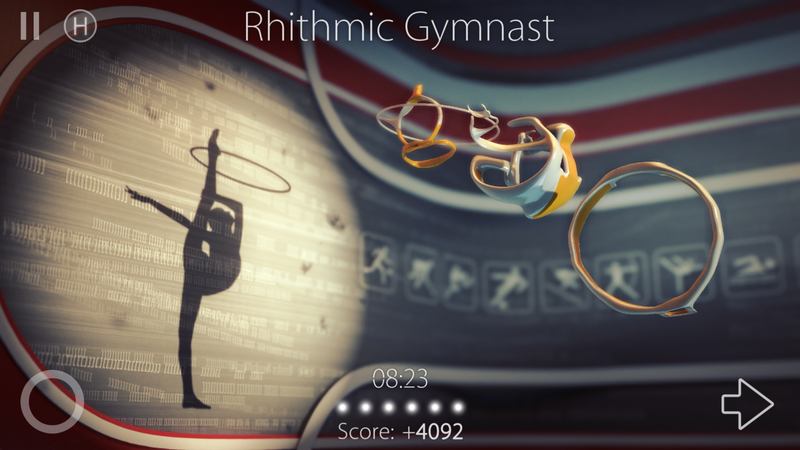 The graphics are breathtaking: Shadowmatic’s entire graphical interface is perfectly polished, from the level selection screen to the levels themselves. 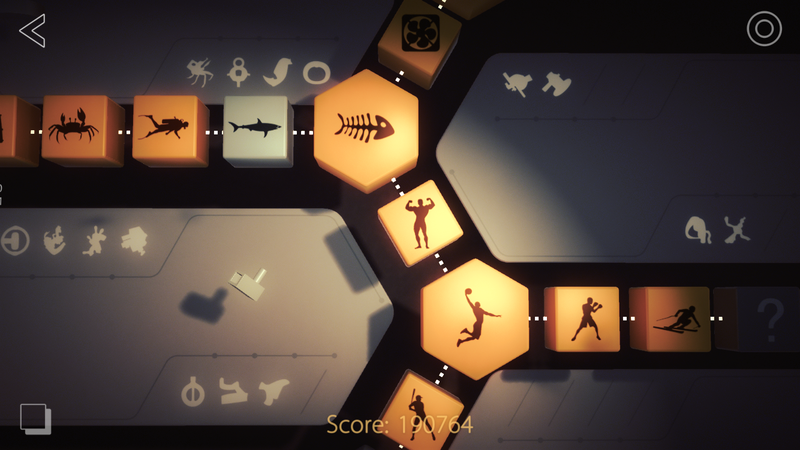 The level selection screen plays with shadows and light as well—as you move around the level tree, each section is illuminated as if by a flashlight. Levels appear as three-dimensional cubes and hexagons, and there are even a few scattered puzzle pieces that you can rotate (if you want). Even the level tree has a beautiful design. Each level is gorgeous and well-made, themed and full of detail. In the fishing-themed levels, for example, the room you’re in is illuminated by light from what looks like a porthole—there’s even moving water reflected in the light. The objects are all rendered in 3D with lots of texture, and the textures change to suit the themes (in the fishing-themed levels, the objects look like they’re made of rusty metal and coral, while in the baby-themed levels, the objects are bright, colorful, and polka-dotted). There’s also a cool parallax effect—when you move your phone around, the background moves to give you a more three-dimensional feel. It’s not impossible: When I first downloaded Shadowmatic, I was skeptical. How could there be a game where you have an almost endless ability to twist and turn objects—and where you have very little idea of what the object you’re looking for is supposed to look like—that wasn’t impossible? Well, Shadowmatic does a very good job of making its levels playable (perhaps a little too playable, some might argue), most of the levels are relatively easy, and if you come across a trickier level, you can simply go off onto another level branch and come back later. The branching level tree is an excellent idea in a game like this—a linear path would almost certainly frustrate some users, since, at the end of the day, sometimes all you need is a step back and a little perspective. Shadowmatic has over 70 levels, as well as 35 “secret” levels, or secret shadow objects that can be made for extra points. If a level has a “secret” level hidden inside it, it’ll tell you—though it won’t, of course, tell you what that secret object is. While the main objects are extremely recognizable by shadow, the secret objects require a grain of salt—they’re not perfect shadow replications of whatever they’re supposed to represent, but I suppose that’s part of the fun!